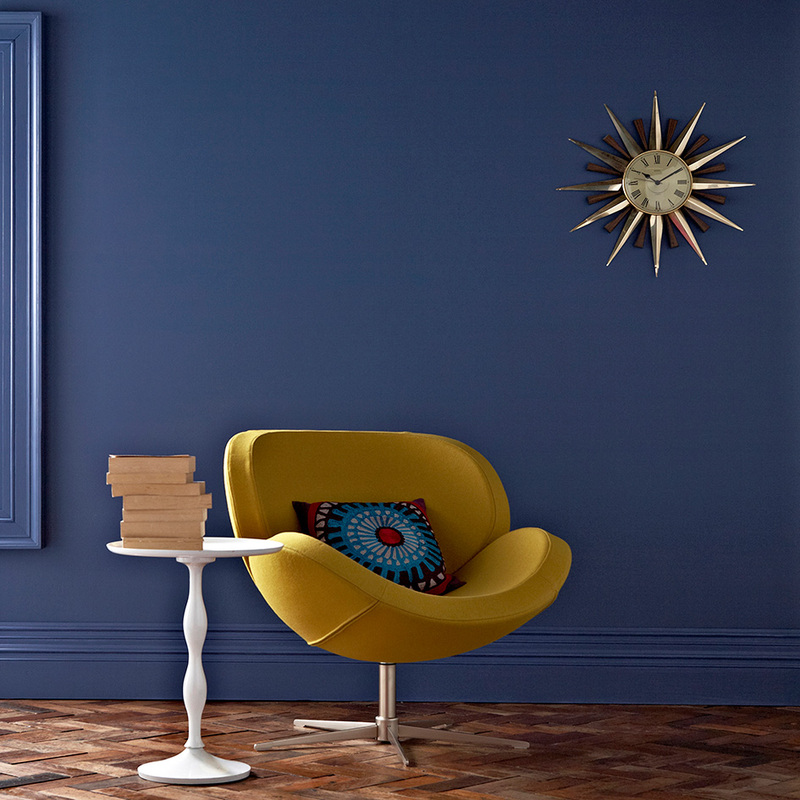 You may have previously read in our psychology of colour post that blue is considered an ‘intelligent’ colour. It provokes a sense of wonder and optimism in all, motivating us to achieve our goals. Naturally this is of course the perfect colour for your home office. Mixing professionalism with a splash of personality, blue is the ideal hue for your workspace. No matter what shade you choose, the subtle calming effect that blue creates helps us to focus and stay level headed when the workload gets too much. For an instant refresh of your office space, our Water Street Blue Paint adorns your walls in a deep hue to aid concentration. 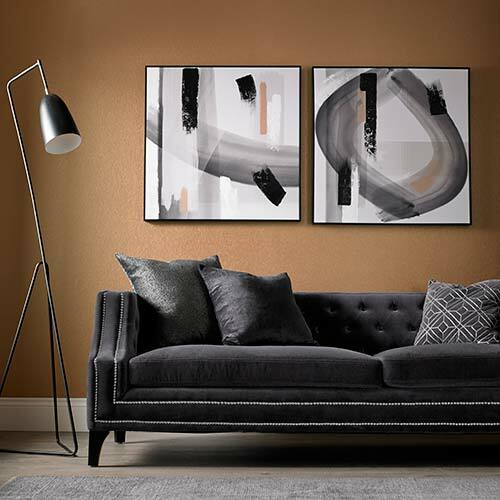 It’s perfect for a quick fix to rooms that need a touch of tranquillity for you to settle down and get on with upcoming projects. 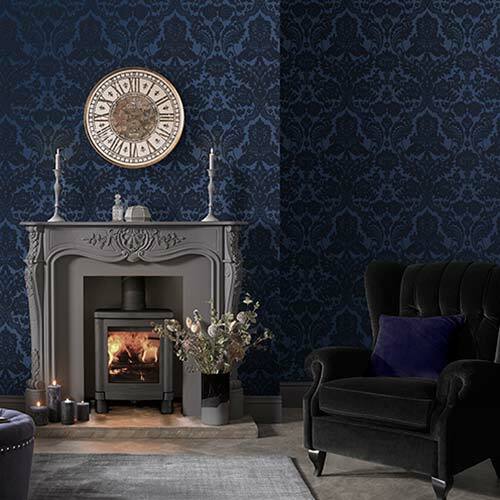 You could choose to coat all four walls with this gorgeous shade, or pair it with one of our matching wallpapers. Whilst you may think that patterned wallpaper would distract the eye, simple patterns, geometric in particular, can actually help you focus. With a repetitive pattern and a structured colour theme, you can avoid wandering eyes that get lost in your interior design. 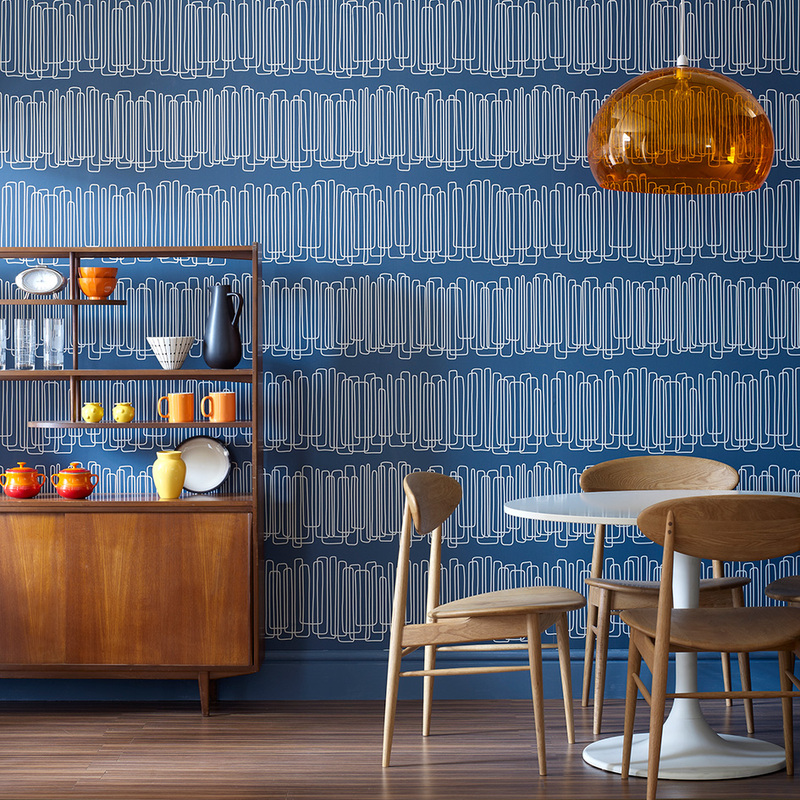 Our Loopy Lines wallpaper, designed by Wayne Hemingway, is the perfect example of an intriguing pattern that doesn’t cause too much visual stimulation. The circular motions intertwining across your walls form vertical stripes, a combination of simple styles instead of a bright and busy pattern. 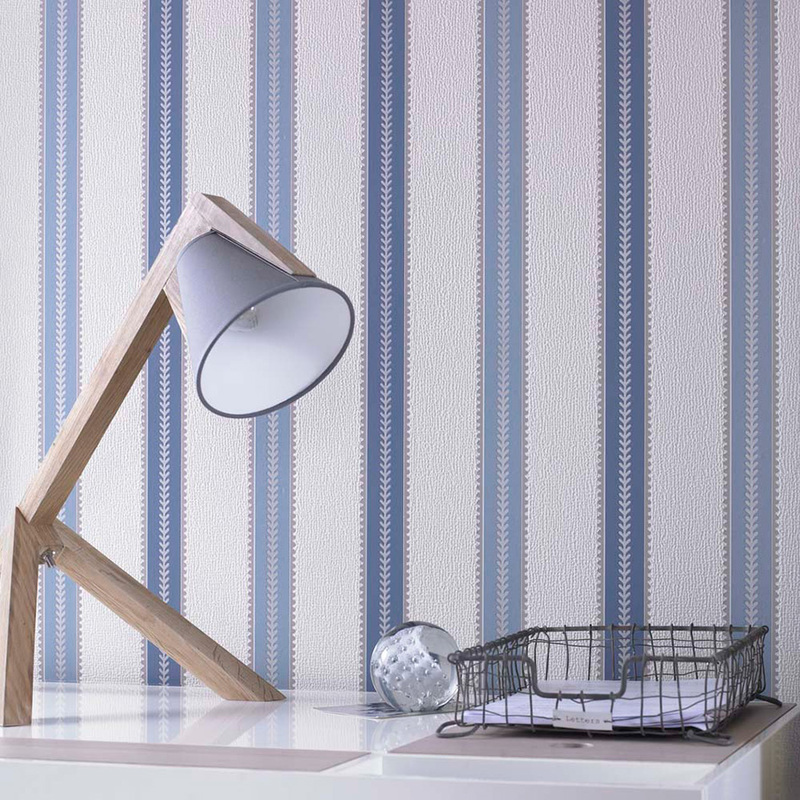 For a transitional look that suits the laidback atmosphere of your home, but also offers the professional style of an office, nothing beats stripes! A classic look that pleases all, stripes can be easily applied to any room and work alongside your current interior theme seamlessly. Our Harvest Blue design in particular offers a chic solution to your home office interior. Free from noisy patterns, the delicate changes in shade present a beautiful backdrop that doesn’t cause too much distraction to the eye. 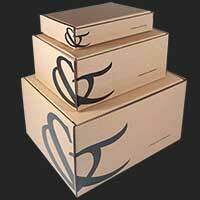 Or perhaps you’re looking for something a little more daring? Our Cloud Nine wallpaper is the perfect way to keep yourself motivated when undertaking tough projects. The sky really is the limit when you adorn your walls with these gently floating clouds. Displaying a sense of optimism that keeps morale levels high and productivity flowing, this gorgeous design may be a little left field, but it certainly keeps you focused on reaching your goals. Of course, you may want to only add hints of blue into your carefully curated home office. Don’t worry, we’ve got you covered. 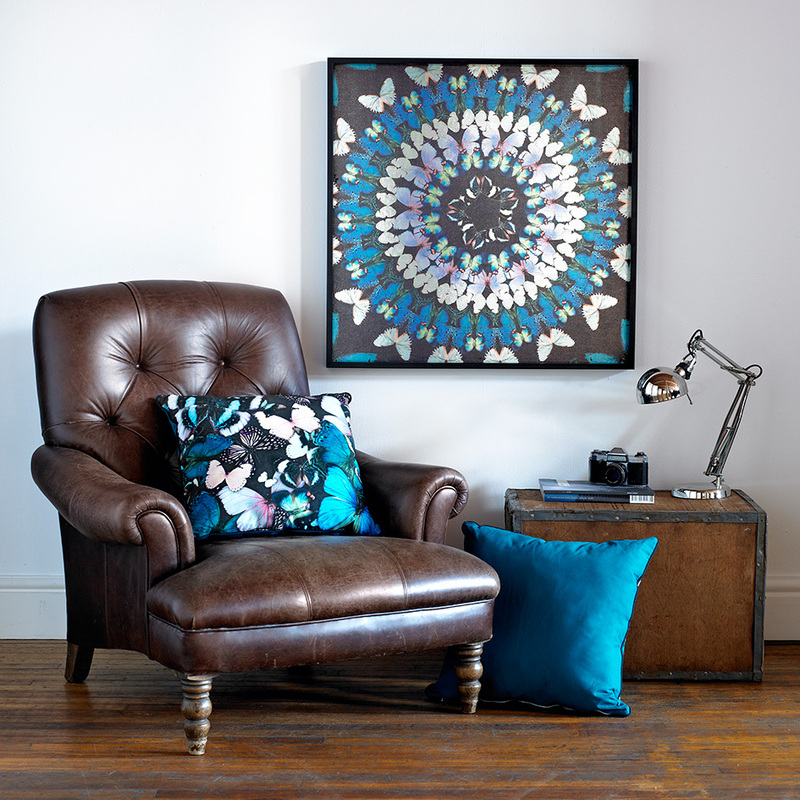 The psychological impact of blue does work on a smaller scale too, that’s why we’ve chosen to highlight our stunning Flock of Butterfly wall art and matching cushion for just a slight hint of this wonderfully adaptable colour. Creating the perfect home office or study space doesn’t have to mean you should compromise on design. Unleash your creativity with stunning blue wallpaper and paint that encourages your mind to knuckle down and get the job done.